What Are the Best Weight-Gain Supplements? You may think of calorie counting as something people only do for weight loss, but it can be just as important for helping with weight gain, especially if you're not seeing a lot of change in your physique. Sometimes you're just not eating as much as you think you are. The formula for gaining weight is really pretty simple: The amount of calories you take in has to be larger than the amount of calories you burn. To get a feeling for how many calories you'll need to put on weight, start by using this calculator to determine your total daily energy expenditure (TDEE). When you use the calculator, it will ask you to choose an activity level that best represents your lifestyle. Be honest! If you say you're very active and you're not, it's not going to help you gain quality muscular weight. Once you get your TDEE number, add at least 500 calories to it. Continue eating at least 500 over your TDEE for a couple weeks to see what happens. If you don't notice any change in your weight, increase it to 750 or even 1000 calories above your TDEE. 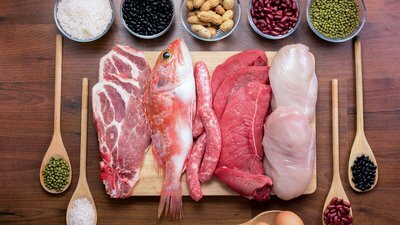 For those who are new to counting calories, registered dietitian Doug Kalman, Ph.D., explains how to do it in Bodybuilding.com's Foundations of Fitness Nutrition course. "Create a food diary. Record both what you eat, and how much. Then, take that information, and plug it into any of the many free nutrition database websites, and get your baseline calorie and macronutrient breakdown. With a cheap food scale, this is actually a lot easier than it was just a few years ago." If you start gaining weight too quickly—like more than 2 pounds a week for several weeks straight—drop it back down to 200-300 extra per day. With the right calorie intake and the right workout, you can expect an increase of 0.5-1.5 pounds in body weight each week. If you're nowhere near that range, adjust your calorie intake.